"Scrumptious frozen treat for grown ups and kids! Can substitute Mandarin oranges for pineapple if desired." I wrote this recipe and wanted to mention it tolerates mandarin oranges in place of the pineapple really well. i freeze on cookie sheet then wrap after they freeze. 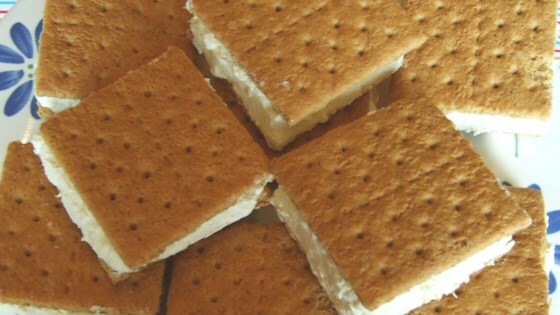 the graham crackers go soft after a week or so, either way you freeze. i dont know what would help that. Super easy to make! I added an extra small can of pineapple and rolled the edges in coconut. Absolutely delicious!